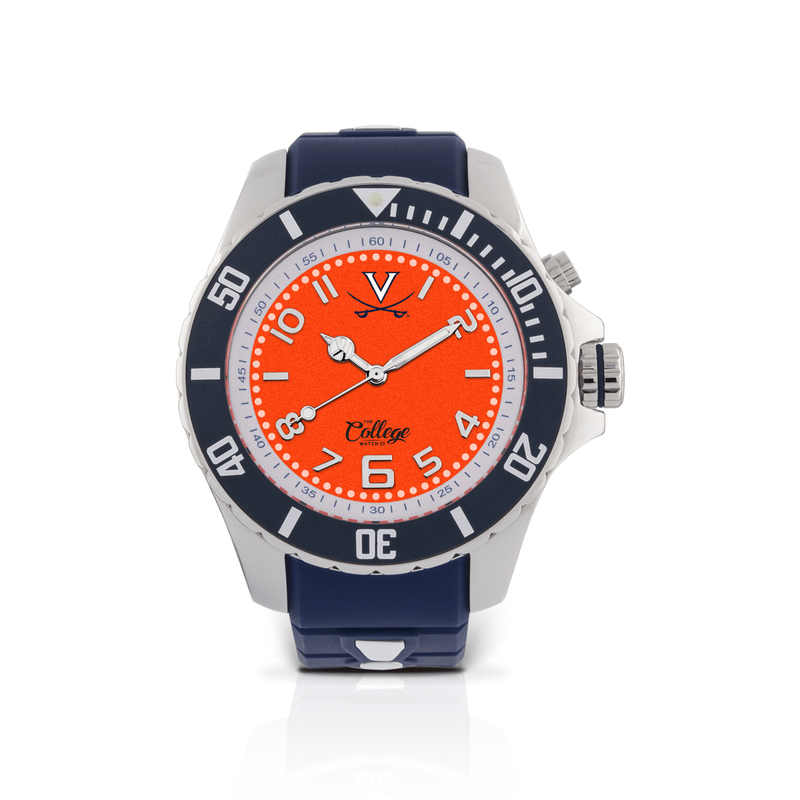 The 48mm Virginia Cavaliers watch by the College Watch Co. is a must have collector's item for super fans, alumni, and graduates alike. 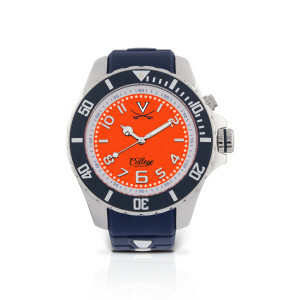 Prominently displaying the famous Cavaliers logo, this watch exudes Virginia pride. Like the look, a little heavy. Came without any instructions, so it took us a while to figure out how to put it to the correct time. We were afraid we would break it.